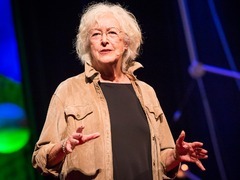 The core mystical moment of Islam took place in the year 610, or “half the world and almost half of history away,” as Lesley Hazleton, biographer of Muhammad, puts it. On a hot desert night, this previously ordinary man received the first revelation of the Koran on a mountain outside Mecca. To hear what Hazleton means by this bold statement — and its implications for fundamentalists of all religions — watch this blistering talk, which points out that true faith takes deep internal wrestling. It’s a call for all religions to take back the public ground from hardliners who offer pat answers and dogma in place of an individual struggle with hard questions. In honor of Hazleton’s powerful talk, below, watch six more talks from TED stages that give surprising, subtle understandings of Islam. To many, the word ‘jihad’ conjures up images of Osama bin Laden. But as Bobby Ghosh shares in his talk at TEDxGeorgetown, this actually demonstrates a misappropriation of a word with deep religious significance. To the vast majority of practicing Muslims, he says, jihad is an internal struggle for the faith — a struggle against vice, sin, temptation, lust and greed, and toward a life outlined in the Koran. So why is the global understanding of the word so different? Because a small minority of believers see jihad as an external struggle, against forces that threaten the faith. Bin Laden was the latest to espouse this view, says Ghosh, and because of his heinous acts, his definition — to wage a war of terrorism on the West — stuck both in the West and in the Muslim world. 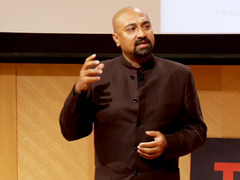 In this talk, Ghosh looks at how bin Laden took a beautiful idea and corrupted it — and how why his twisted definition will no longer be able to stick. When journalist Mustafa Akyol traveled to Mecca, he made an interesting observation — that men and women prayed together at the Kaaba but were separated in a nearby Burger King. 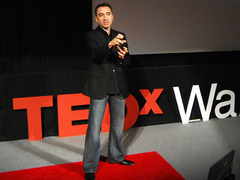 In this talk from TEDxWarwick, Akyol suggests that many things thought to be core to Islam — like the separation of the genders and the wearing of headscarves for women — are actually long-held local traditions as opposed to religious doctrine. The Koran has 114 chapters, and each one begins with “basmala,” a saying which includes the words “In the name of God, the all-compassionate.” Because a Muslim’s mission is to follow in the path of the prophet and take on the attributes of God, this wording is especially meaningful. 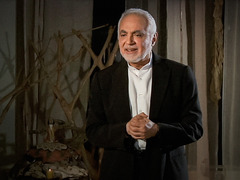 In this talk from a TED Salon in 2009, Imam Faisal Abdul Rauf looks at the centrality of compassion to Islam, and says that compassion is deeply a part of us. And yet, he also looks at why it is so hard to connect to it – because our egos get in the way. In 2010, Superman, Batman and Wonder Woman teamed up with The 99, a band of superheroes who derive their powers from the 99 attributes of Allah. 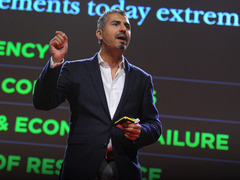 In this talk from TEDGlobal 2010, Al-Mutawa explains why he created these superheroes in his comics: to point out the similarities between superheroes and the prophets, while breaking stereotypes of Islam. By reinforcing positive images of Islam, minus the extremism, Mutawa shares how he hopes to create a cross-cultural framework for confronting evil. Maajid Nawaz is a former Islamic extremist. 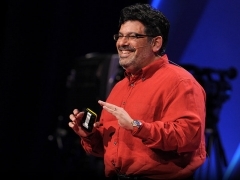 In this powerful talk from TEDGlobal 2011, he shares his story of how he joined the cause and even became a recruiter for it. His insight? That extremist groups are good at communicating across borders. And that those wishing to spread democracy have a lot to learn from them. 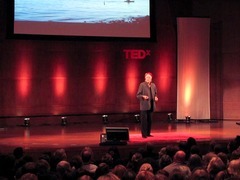 This post was originally published as a collection of six talks in December of 2012. It was updated to include Hazleton’s latest talk in June of 2013. Feeling disconnected from Islam? TED can help you out. Reblogged this on Learning as I go along in life.